Blackview is a well known brand in the rugged smartphone segment and well this is one of its rugged smartphone we are talking about today. The Blackview BV9500 Pro is not only a smartphone that can take a beating but one that also contains impressive features. Besides the IP rating, the smartphone has a nice build in bulky way but still manages to have a level of appeal. So much for the ‘Pro’ label and the chronological order, the smartphone is not really much of an upgrade to its predecessor. You can’t but excuse the fact that the Blackview BV9500 Pro is a rugged smartphone, hence you would not mind it’s bulkiness. It is much needed to give the phone the waterproof and dust proof too. Covered with a tough polycarbonate casing with metallic frame and an overall sturdy build. At the sides, the bezels are quite reduced but at the top and bottom there is a more evident bezel presence. The screen on this smartohone is quite nice with a size of 5.7-inch and also an ideal resolution. 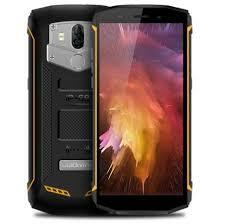 Relying on an LTPS LCD screen, the Blackview BV9500 Pro does not heat up easily like other screens. As for the resolution, the smartphone has 2160 X 1080 pixels with decent contrast. For power, the smartphone has a giant battery that would last says and suitable for traveling. Sipping juice from a 10, 000mAh behemoth battery, you can be confident of over 2 days of power conveniently with normal usage of listening to songs, surfing the net and other things. Being a rugged smartphone it still manages to keep up with the latest trends in the smartphone industry like the dual rear camera seen here. Selfie is taken with a 13MP camera from Samsung placed up front. Employing the optics of both a 16MP main camera and an assisting 5MP sensor is a pretty nice mix. Running the show on the inside, the smartphone is placed In the hands of a MediaTek Octa-core chipset. This being, the Helio P23 processor with a lot gusto and a a Mali-G71 MP2 GPU to assist. It is not a bad arrangement for a rugged smartphone as it should be able to do.well even in intensive use. Furthermore, there is 6GB of RAM for hitch free multitasking on the device and storage of files is don in a 64GB space provided by Blackview from the get go. Acquiring the smartphone means you now have a device that runs the latest Android 8.1 Oreo from the factory. 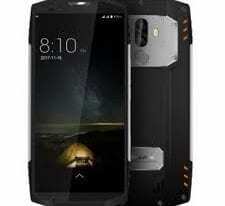 The Blackview BV9500 Pro IL cost a little above 100, 000 Naira depending on your location and the deal from various online stores and even maybe some smartphone retail outlets around.